The Huh? : Man of Steel 2: Batman vs Justin Timberlake's Riddler? 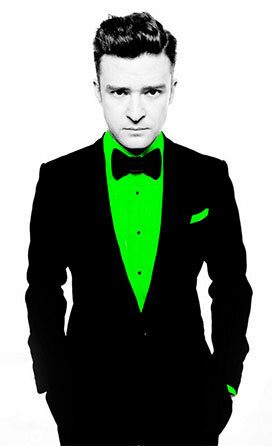 Man of Steel 2: Batman vs Justin Timberlake's Riddler? “Not a chance in hell. I ain’t playing Robin. I have no aspiration to ever be a superhero in a movie. “Now, a villain! I’ll tell you the villain I want to play more than anything because I grew up loving Batman, funnily enough, is The Riddler. The Riddler is my favorite villain." He's got the style for it. Well, hopefully he doesn't mean either Frank Gorshin or Jim Carrey's Riddler crazy, but more along the lines of a Heath Ledger Joker or Matthew Goode's Ozymandias (from Watchmen). Deadly intelligence and the desire to prove it through life or death games.